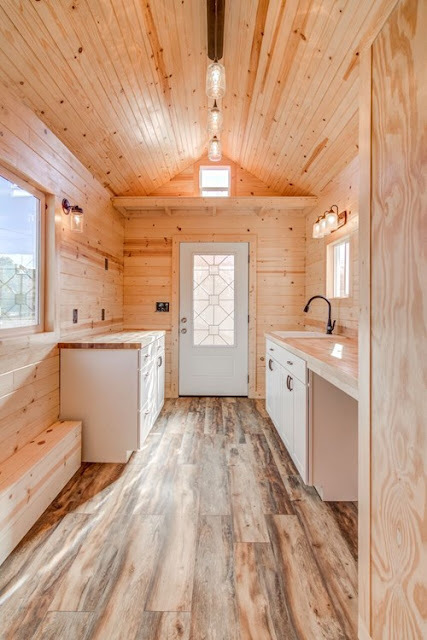 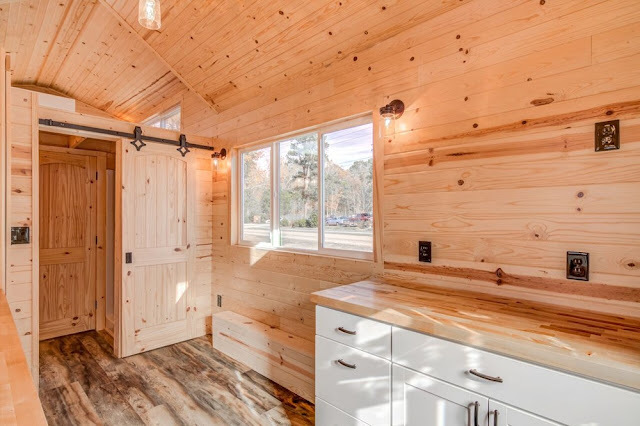 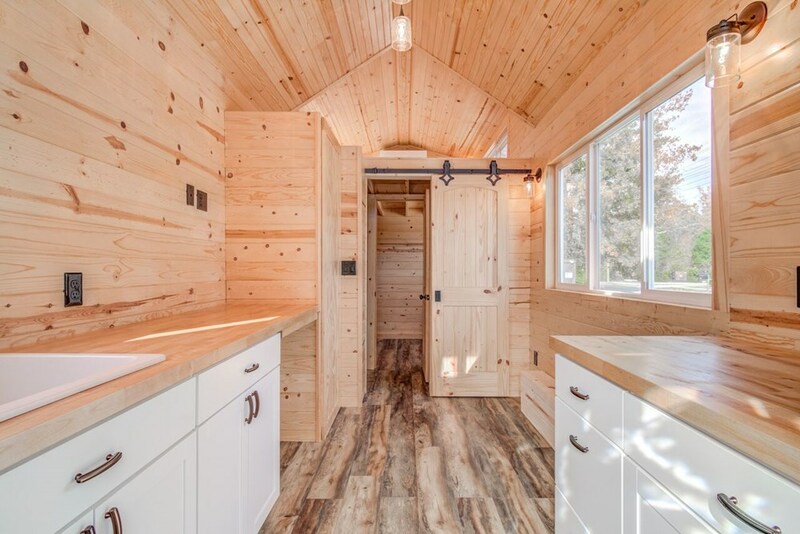 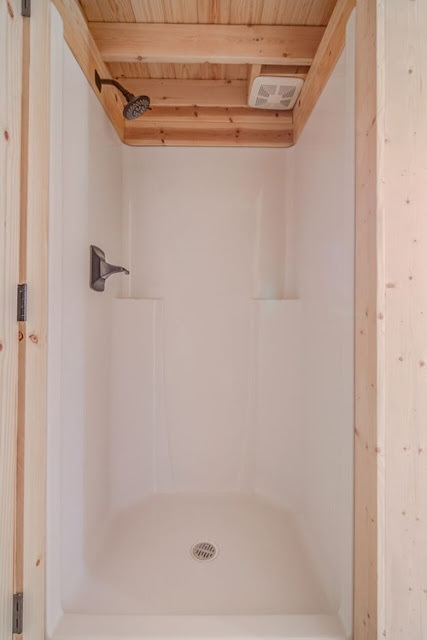 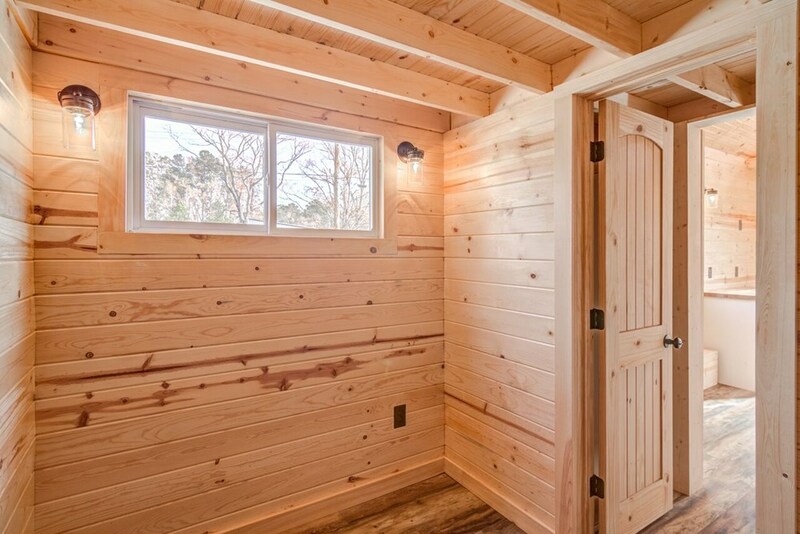 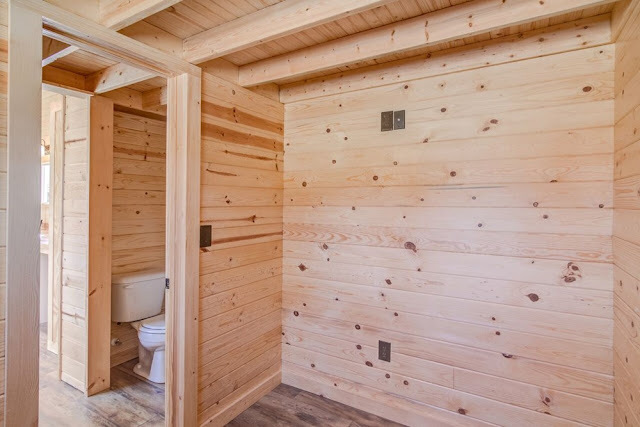 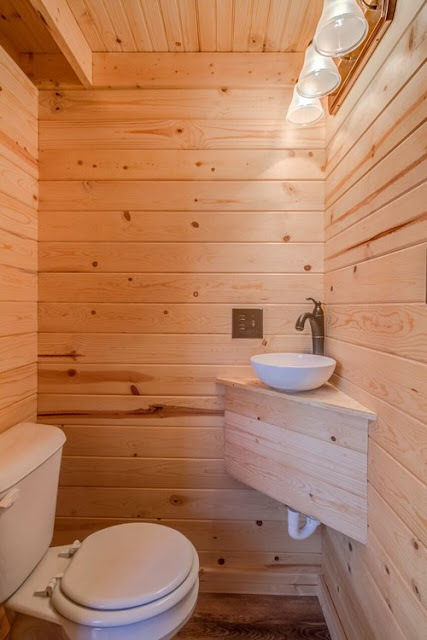 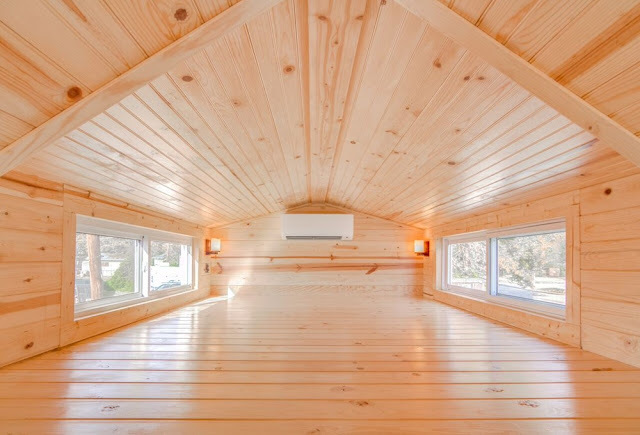 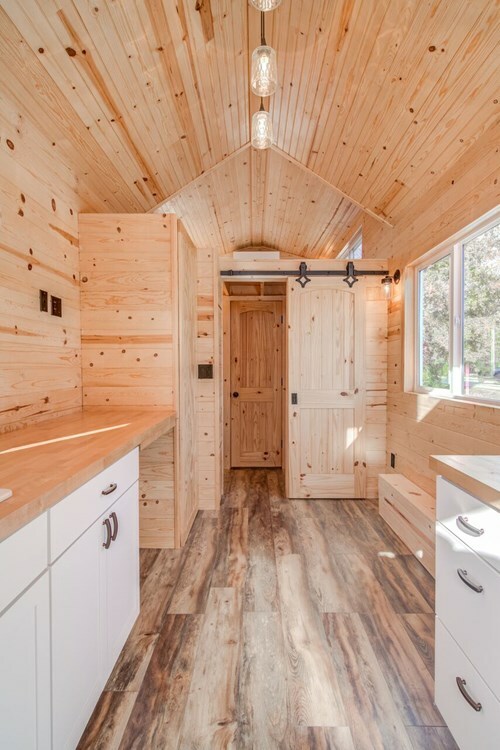 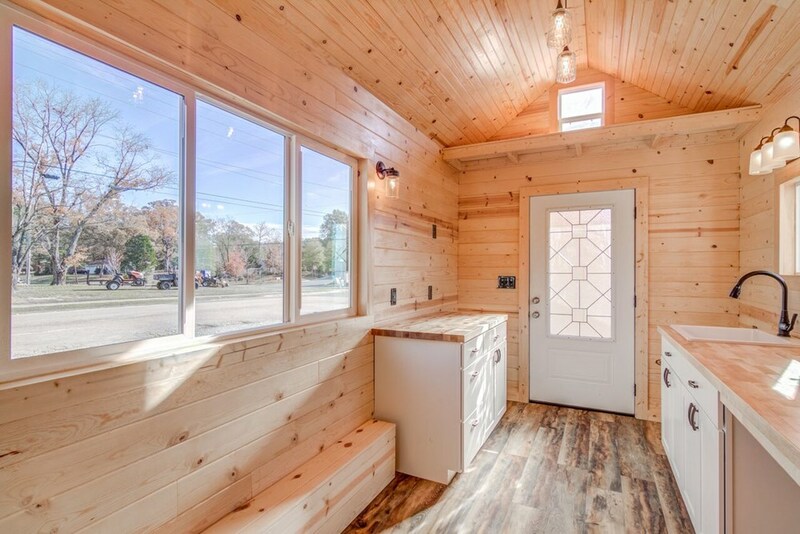 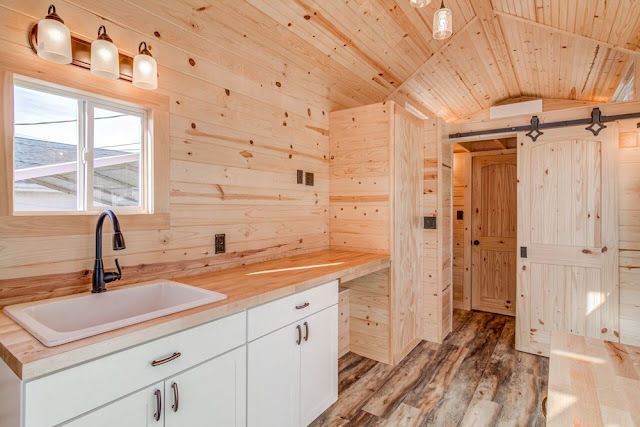 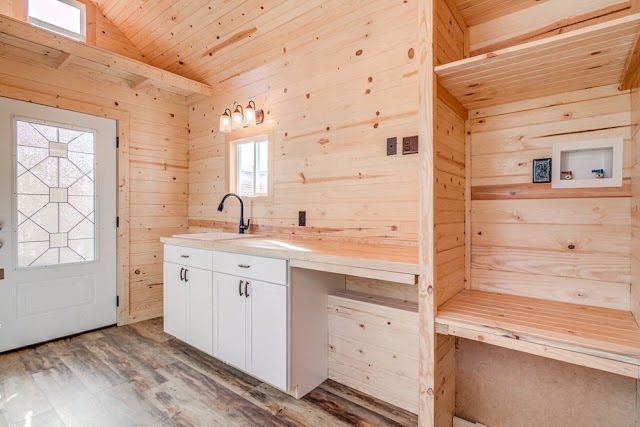 This charming cabin-style tiny house is currently available for sale in Durham, North Carolina! 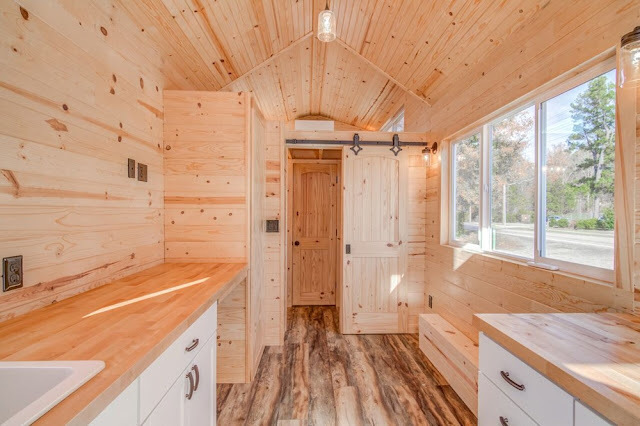 The home measures 24' x 8.5' and has an exterior is clad in German pine siding. Inside is a beautiful interior of white pine T&G with Pergo flooring. The main level features a bathroom and a ground-floor bedroom with enough room for a queen-sized bed. 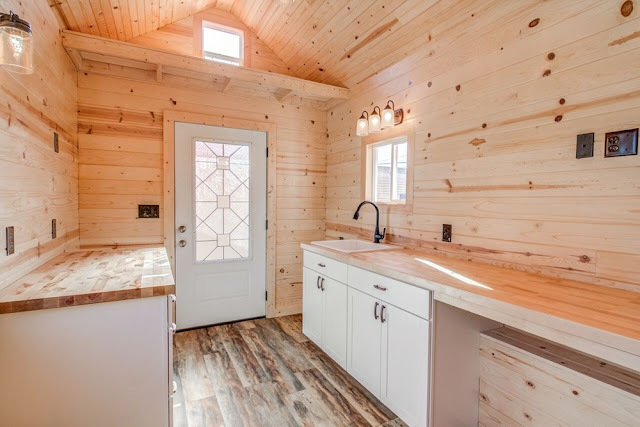 There's also a kitchen with butcher block countertops and a fold-out table but, alas, no appliances included. 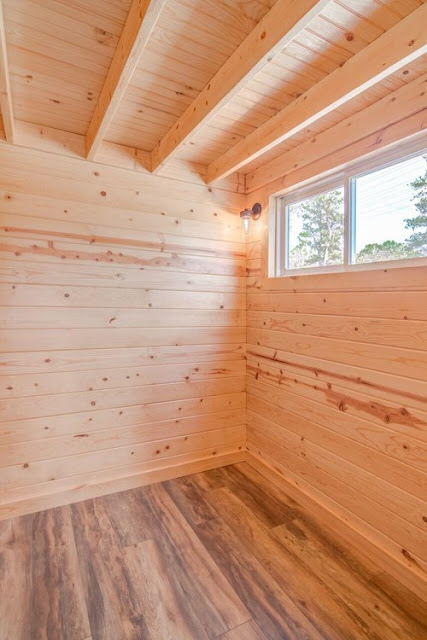 Upstairs is a second bedroom that measures 10' x 8.5'. 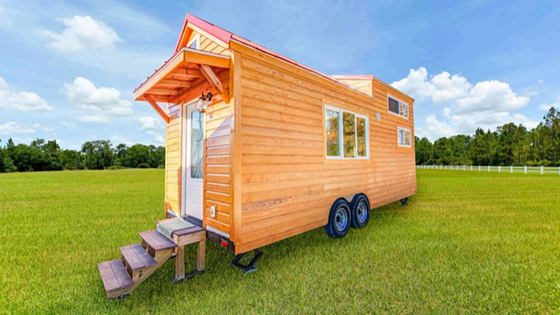 The home is currently available for sale here for $49,9000 with delivery available within a 100-mile radius!